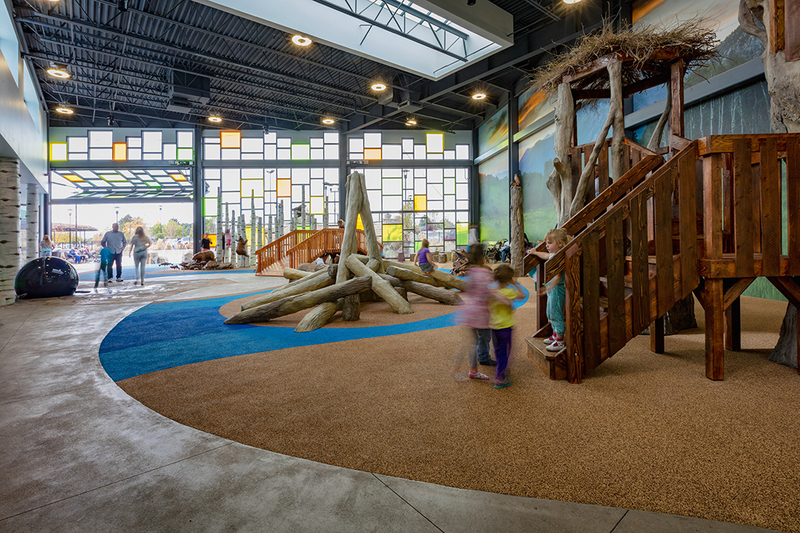 R&O constructed this indoor-outdoor play area for elementary-aged and younger children. 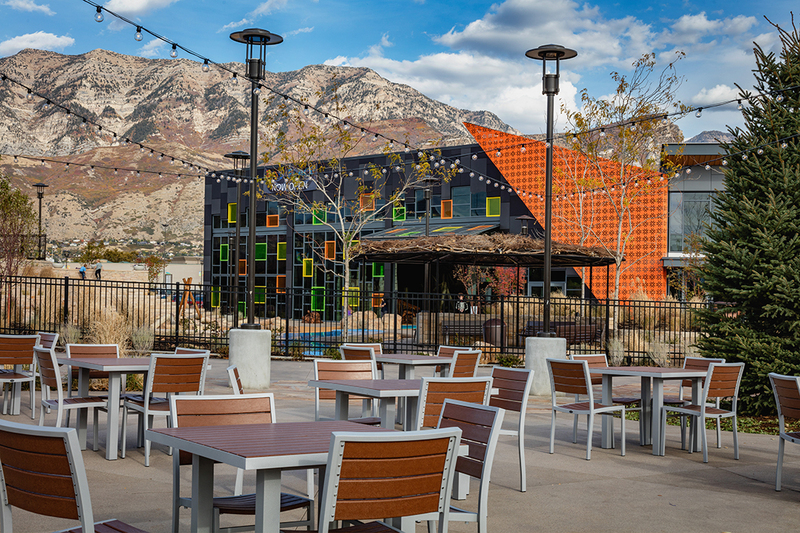 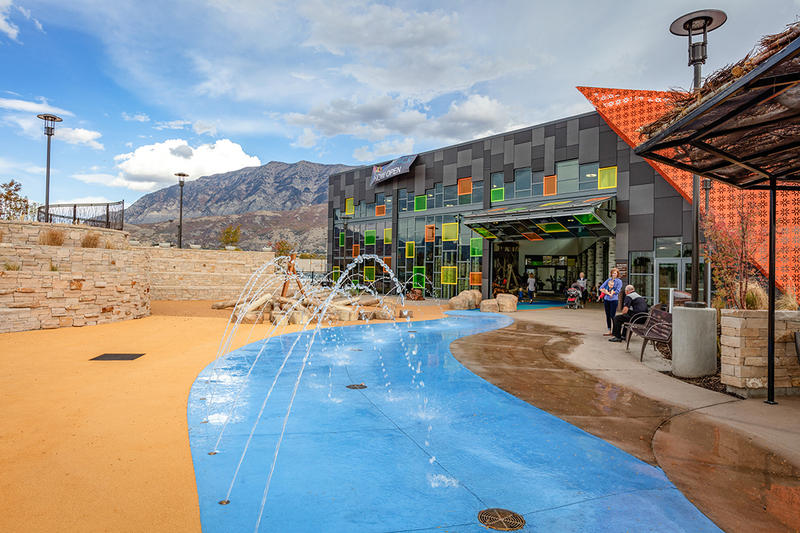 With design elements that reflect the natural beauty of the Wasatch Mountains – including two photographic murals by local photographers Eric Reeder and Willie Holdman – the play areas include wooden tree houses, a log climbing structure, monkey bars in the trees, a see-saw, a climbing wall, interactive water fountains, and more. 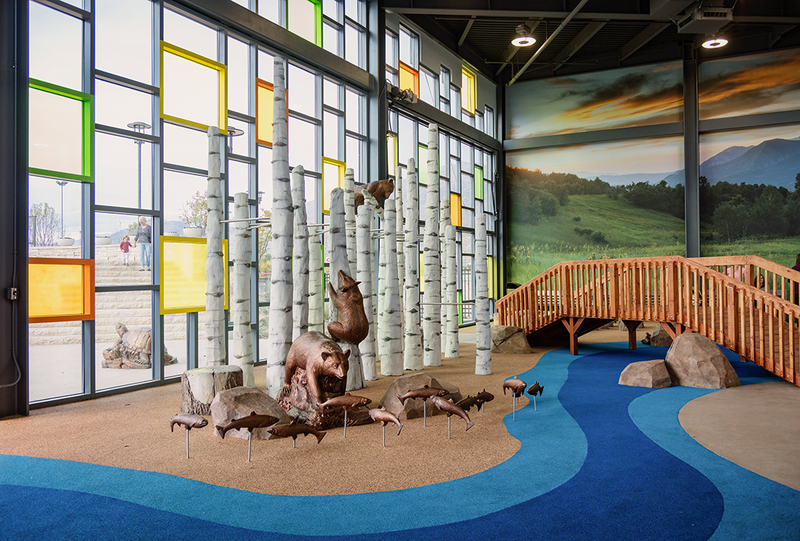 As part of making it an all-season play area, two hydraulic doors were built that can raise or lower depending on weather conditions. 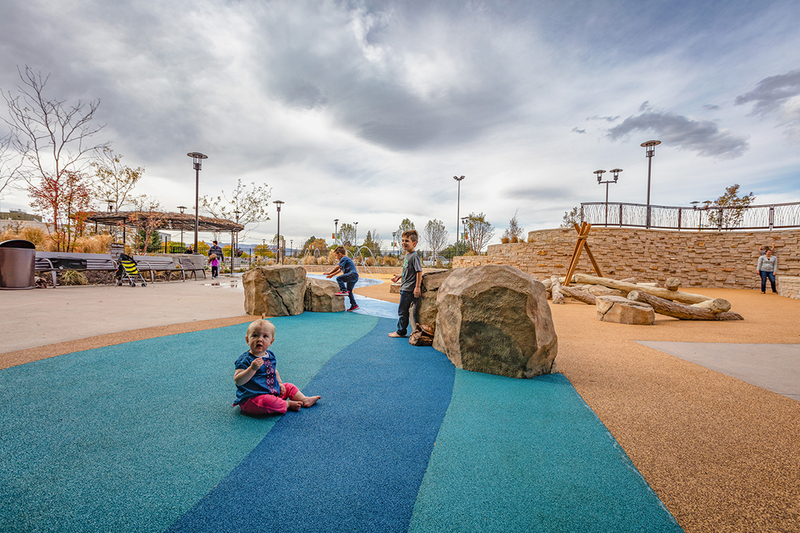 The play areas have a special cushioned flooring that allows some forgiveness if little ones fall.